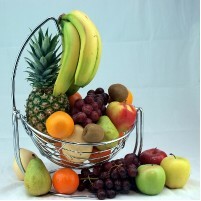 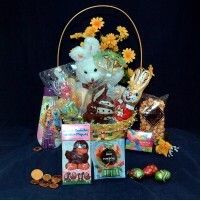 All baskets in this category are listed in alphabetical order according to the name of the basket. 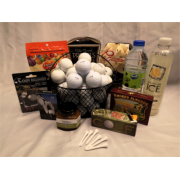 Each gift basket is also categorized where they can be found quickly, such as Fruit baskets in the FRUIT category, or Wine Baskets in the WINE category. 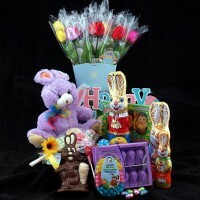 Each basket is made with care, and special attention to every detail , right down to the choice of ribbon, and flowers to depict the occasion that the gift basket has been chosen for. 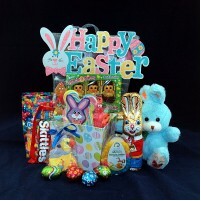 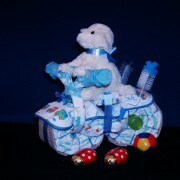 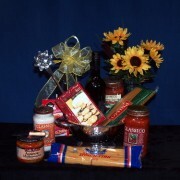 Each Gift basket can be decorated for ANY occasion, from Birthdays to Anniversary's, Births or Appreciation. 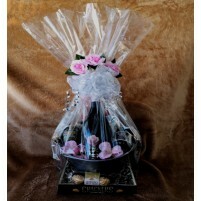 What ever the occasion, the baskets will be wrapped and decorated to the occasion it has been purchased for. 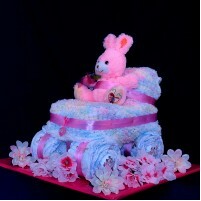 If a favorite color of ribbon and silk flowers is requested we will do our very best to meet your expectations. 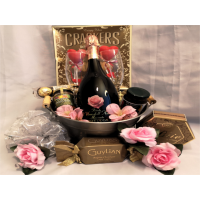 Here is a Giant sized Picnic Basket filled with a variety of Okanagan Artisan and world gourmet prod..
We bring everything together for you in this handy, colorful colander basket. 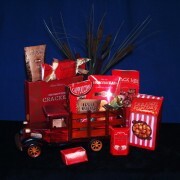 It comes overflowing w..
All packaged up into a beautiful golden gift basket ....... A wonderful assortment of Okanagan artis.. 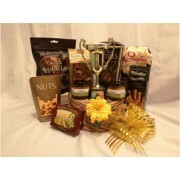 This Gift Basket says it all..... A World of Thanks, great basket for showing your appreciatio.. 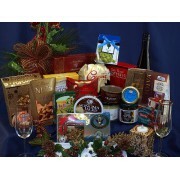 This beautiful Indulgence gourmet gift basket is filled with both sweet and savory items sure to ple.. 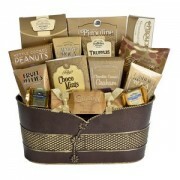 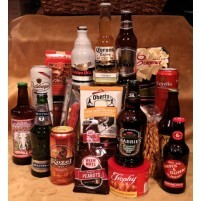 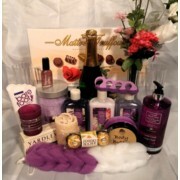 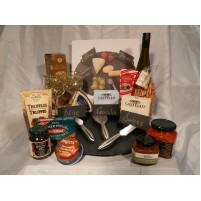 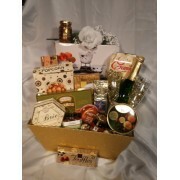 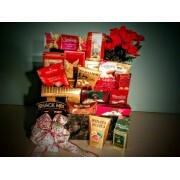 This Amazing Extravaganza Gourmet Gift Basket is made to order with all the luxury items that a.. 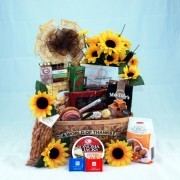 This gift basket THE AMBASSADOR is perfect for the corporate office, loaded with a variety of snacks.. 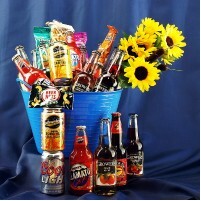 When these seeds are planted, flowers grow and so does a feeling of appreciation when it receives sp..
"Hi Patricia, I just wanted to say thank you for making the delivery today and to let you know the recipient was blown away by the basket and all the "
"Patricia - you are so fantastic. 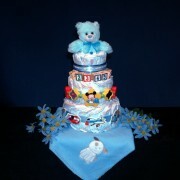 Simply the Best!! 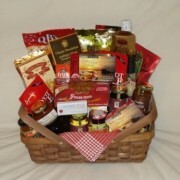 Thank you so much for delivering the basket, visiting my Grandma and sending photos. 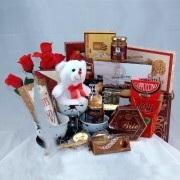 I am so than"